ASIL D, the highest level. With deeply embedded software playing a more significant role in our everyday lives it becomes more important that this software is developed well and is able to function as intended even in unforeseen circumstances. To this end numerous software safety standards have been developed for industries which where software failure will cause injury or loss of life: automotive, medical, avionics, etc. In many jurisdictions, compliance to these standards is mandated. Many different tools may be used in the development of a safety critical system and it is not unreasonable to expect the same level of quality and reliability from the tools which are used to develop, build and test these systems. After all, a tool is usually just another combination of hardware and software and it also needs to be proven to be reliable and consistent when in use. 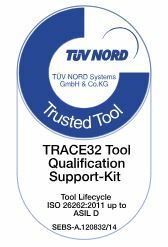 With the Tool Qualification Support-Kit Lauterbach gives developers the peace of mind of knowing that the TRACE32 family of products have been demonstrably shown to produce consistent, reliable results and can be proven to an internationally recognized high standard. 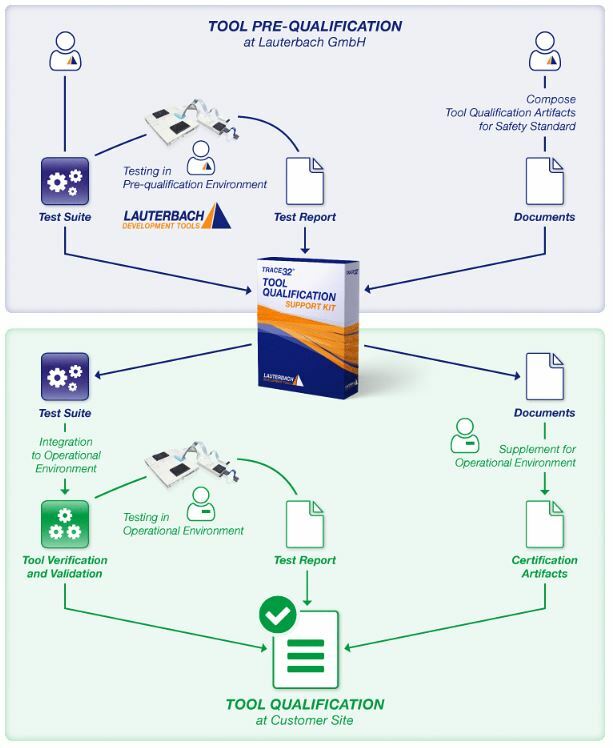 Not only does this provide an extra level of confidence but can also greatly reduce the time and cost required to certify a toolset for a particular project.